My two daughter, were born yesterday. It's a real happiness for me and my family. It will probably slow down AfterMoon project and COOP or DIE development, but don't worry, it won't stop it. 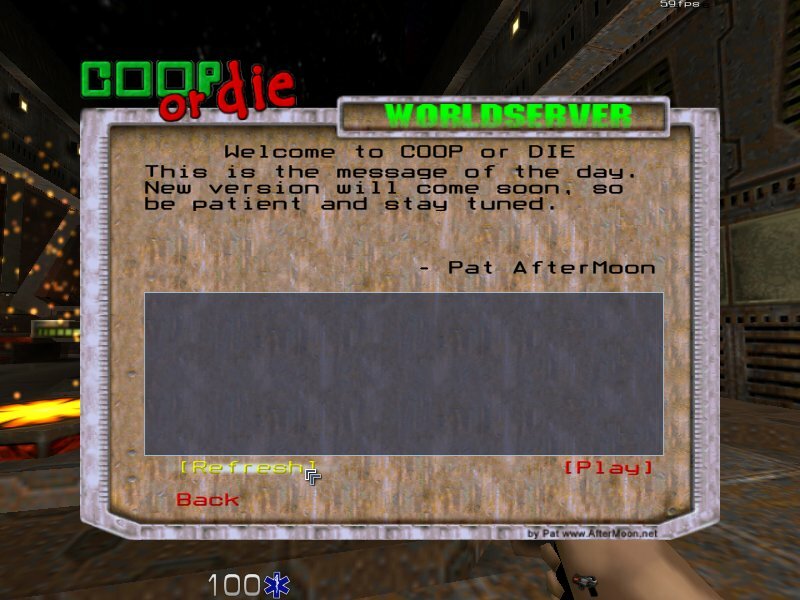 A new release of COOP or DIE is available. It contain a correction of the bug that frequently prevent map progression and inventory to be saved. You can download the file here. This website has been reorganized and is now more focused on the AfterMoon game. The Tank Pack for the Torque Game Engine has been released by BraveTree. The AfterMoon Game could not be considered as a Tank game, but there will have some vehicles with treads, so this pack is a great resource for me. This cool pack is also a "coup de coeur" for me, because it contain a Sherman M4 3D model. It has remember me the old Sherman M4 game I've worked on when I was a salary of the French Gaming company named Loriciel. The RTS Starter Kit for the Torque Game Engine has been released by the GarageGames team. The AfterMoon game is not a Real Time Strategy game, but the high quantity of enemies moving in formation allow it to share some similar mechanisms with RTS. The Mini-Map provided in the kit is also a very good resource. The 2005 Independent Games Festival Competition Entries are Announced ! You can look at all entries here. I have started to browse the list and already found some very interesting games. I particulary like Dark Ore by Raylogic. 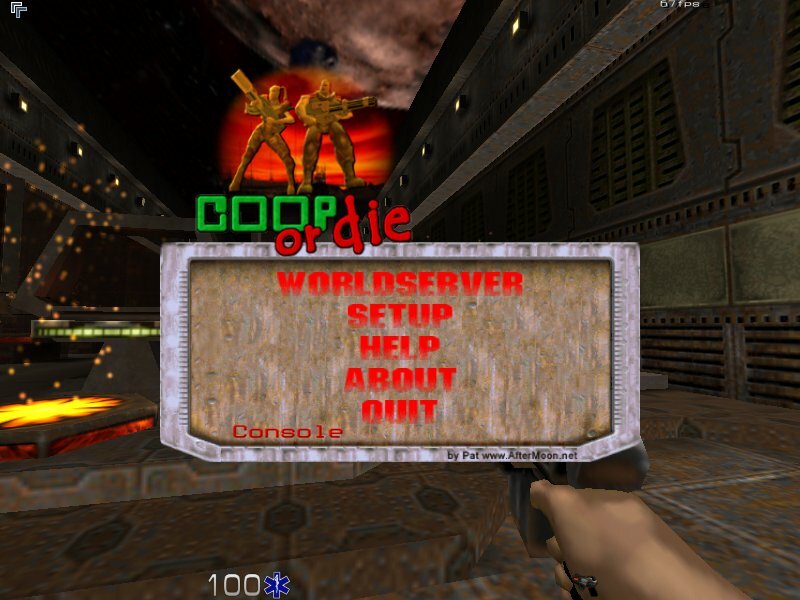 The 0.4b version of COOP or DIE has been released. You can download it on the new COOP or DIE download page. For those who already have the 0.4 version there is a patch (only 802 Ko). I will update the website during the next week. After many equivocations I have finally removed the new menu and restored the old one. It was two much work for complete and debug it. I also want to stay the most possible near the Knightmare engine code, for easy upgrade in the future. So the new version will principally include bug fix, security fix and anti-cheat fix. The Challenge mode will be reactivated and the new web site launched. I am a Torque licence owner since march and I have enought played with it to confirm my choose of this engine and start the new project. The War Against The Cyborgs concept has highly evoluted, but I will talk about that later. The only word I can tell is that I will primary work on a strong single player mode, then add the multiplayer cooperative mode, and then add the WorldServer and the online dimension. 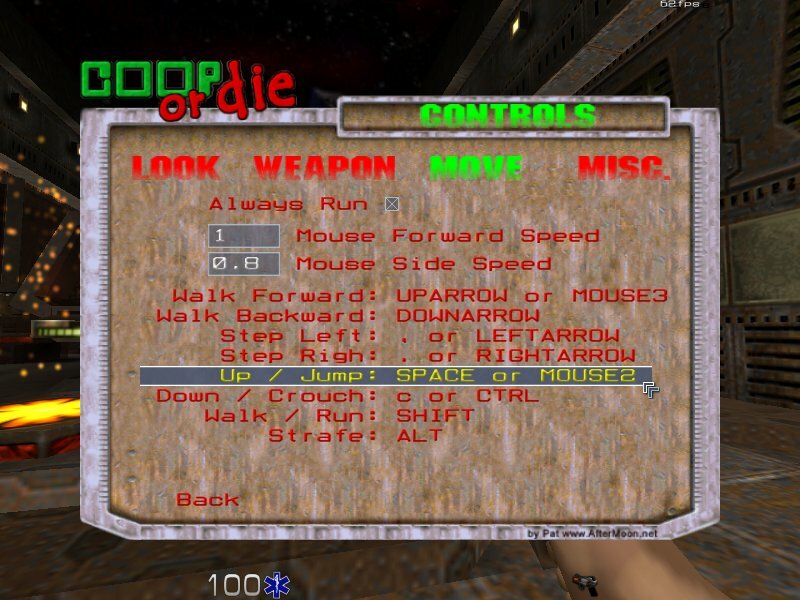 Even if the AfterMoon Project will know great changes during the next months, COOP or DIE will stay an alive Quake2 modification, and it's WorldServer will be available for a long time. ... a big revolution is on the walk for the AfterMoon Project. The 1000 Limit reached ! Yesterday, the 1000th player has registered to COOP or DIE. During the next months, I will allow more time to the AfterMoon project. I will make an important release with the new GameLaunchPad, a lot of bugfixes (security holes, interlevel_triggers, players stucked ...) and I will complete the COOP or DIE website, principally by rewriting the help section.